Brightman is the oldest of six children of businessman Grenville Geoffrey Brightman (1934–1992) and Paula Brightman. She was raised in Berkhamsted, Hertfordshire, England. At age three, she began taking dance and piano classes and went on to perform in local festivals and competitions. At age 11, she successfully auditioned for The Arts Educational School, a school specializing in performing arts. At 13, in 1973 Brightman made her theatrical debut in the musical I and Albert at the Piccadilly Theatre, London, playing one of Queen Victoria’s daughters (Vickoria). In 1976 she was in the leading TV dance group Pans People and was later recruited to lead Arlene Phillips’ troupe Hot Gossip in 1977. The group had a disco hit in 1978 with “I Lost My Heart to a Starship Trooper”, which sold half a million and reached number six on the UK charts. 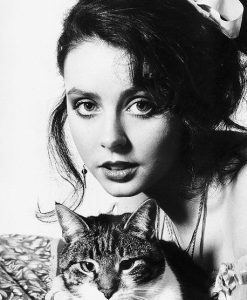 Brightman, now solo, released more disco singles under her own label, Whisper Records, such as “Not Having That!” and a cover of the song “My Boyfriend’s Back.” In 1979, Brightman appeared on the soundtrack of the movie “The World Is Full of Married Men” and sang the song “Madam Hyde”.